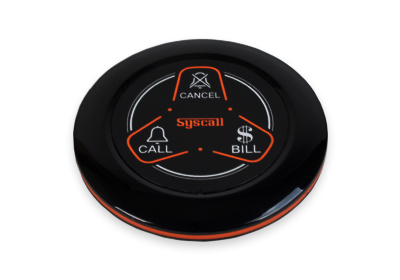 In an industry where customer service can make or break a restaurant, it pays to invest in SYSCALL Wireless restaurant calling system to improve the quality and speed of service. 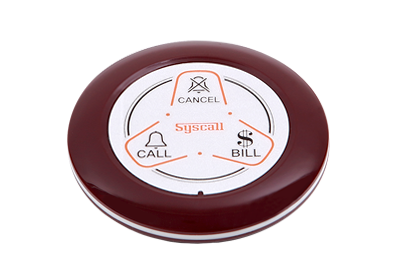 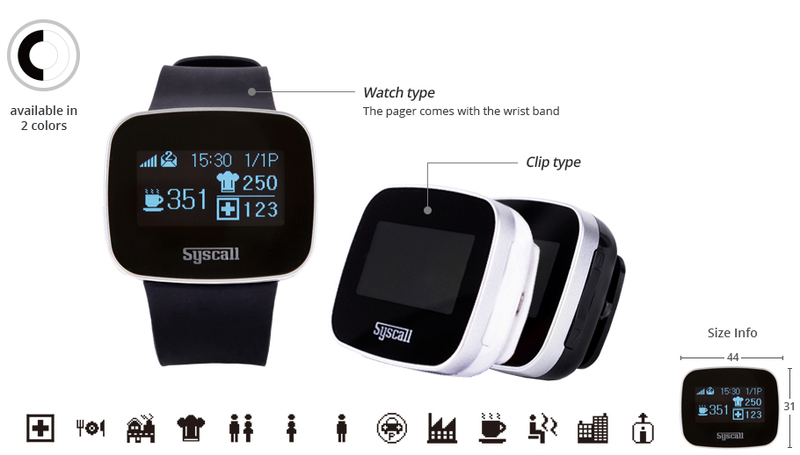 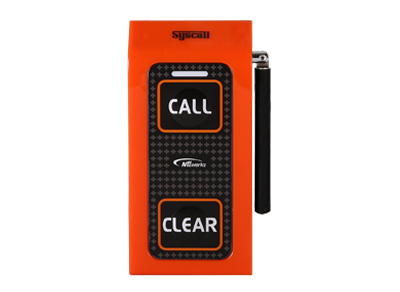 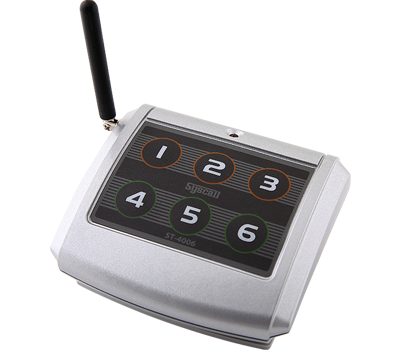 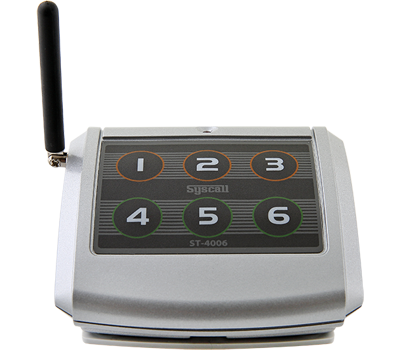 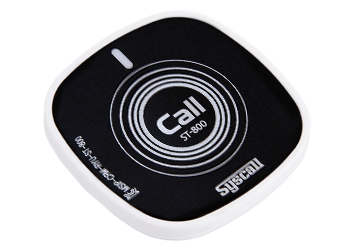 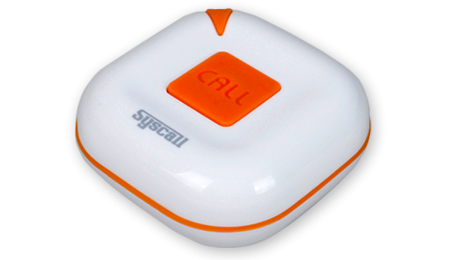 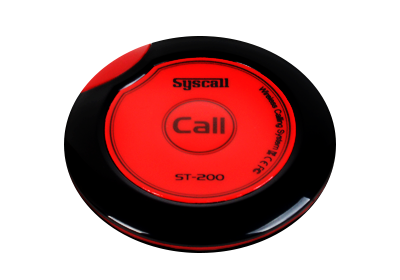 With SYSCALL wireless paging solution, you can spend less time running around and more time in front of customers.The goal of all SYSCALL products has been to increase your revenue while decreasing your overhead and expenses. 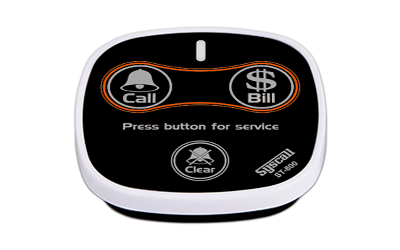 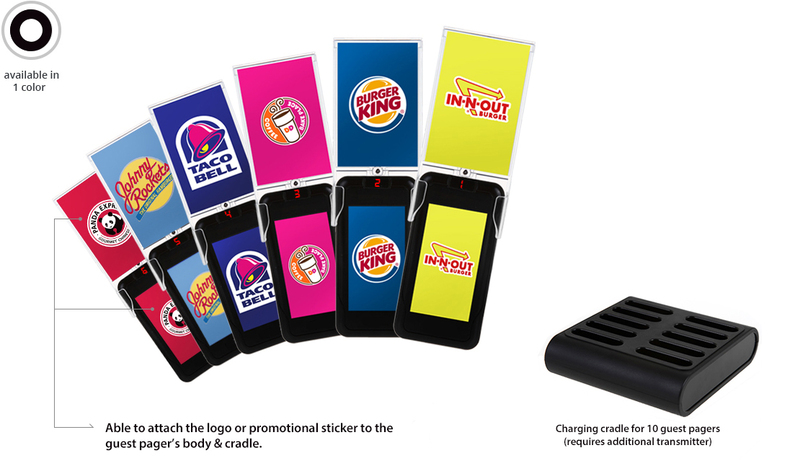 Reduce noise, Improve Guest Flow and Increase profit! 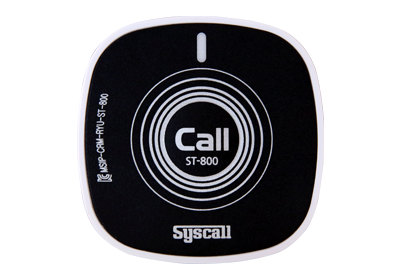 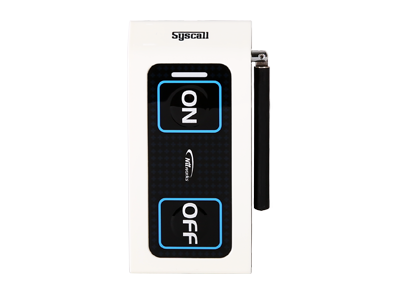 SYSCALL offers a food court wireless guest calling system to eliminate long lines and chaotic crowds during peak meal times. 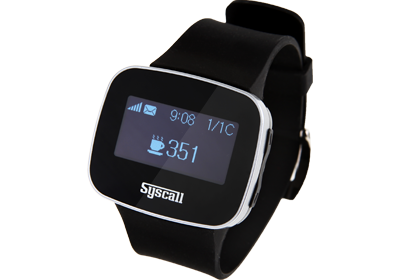 Guests are free to wait at the table, knowing that they will be notified automatically as soon as their foods are ready. 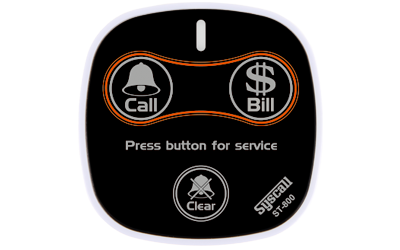 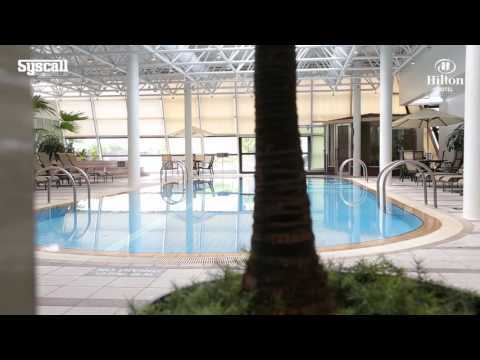 Hotels and resorts are customer centric businesses. 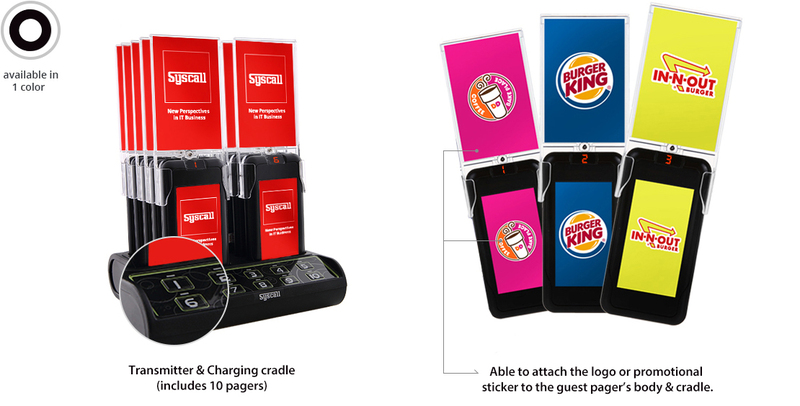 With guests demanding the best service available, hotels and resorts need more efficient ways of meeting those demands. You can count on a wireless Syscall hotel paging system for the most complete and reliable solution to improve your business efficiency and customer service. 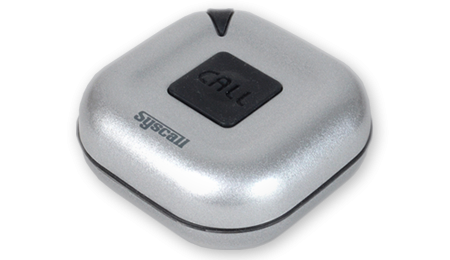 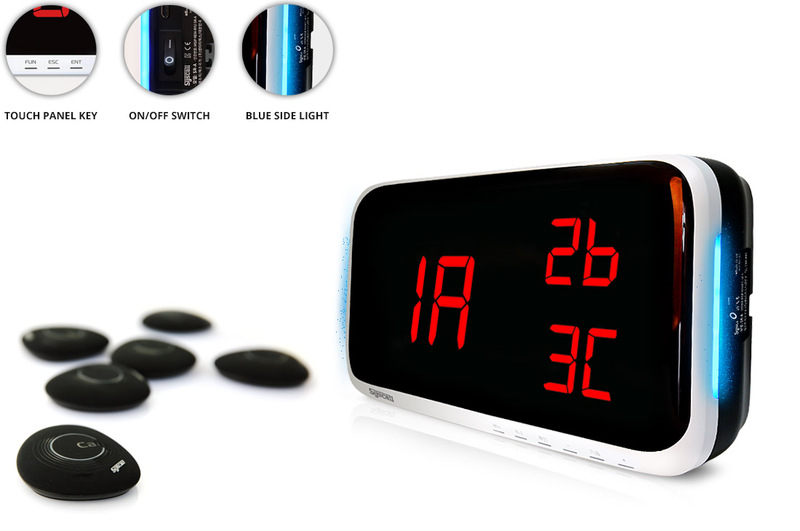 Guest Pager is rechargeable lithium polymer battery and takes up to 3 hours to charge it full. 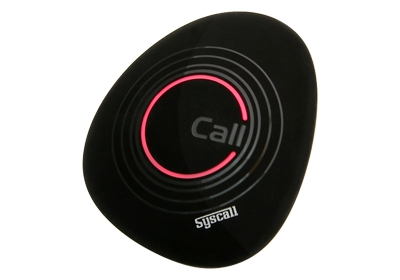 How many call bells can be registered to display monitor? 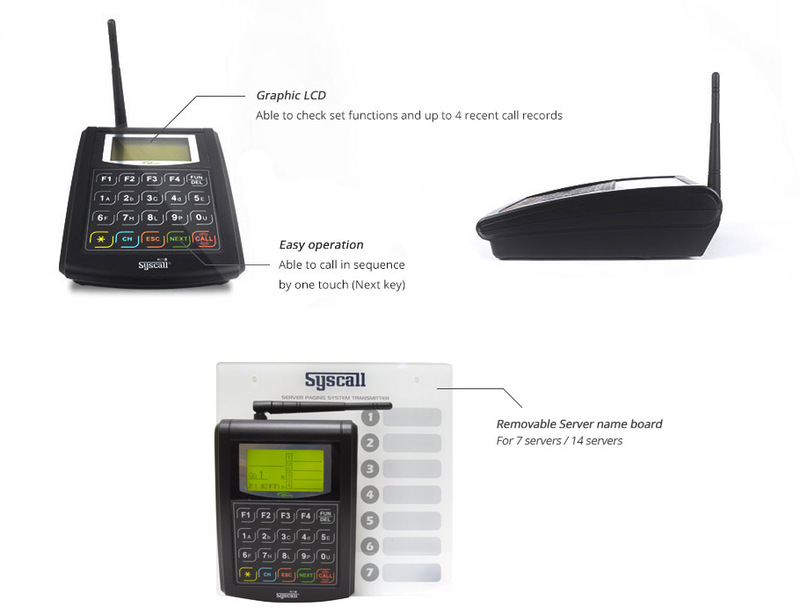 How many guest pagers can be used with transmitter? 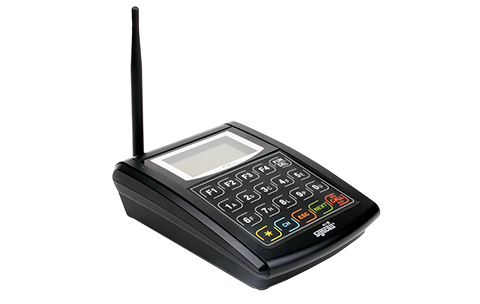 Guest pagers can be registered up to 9999 with one transmitter. 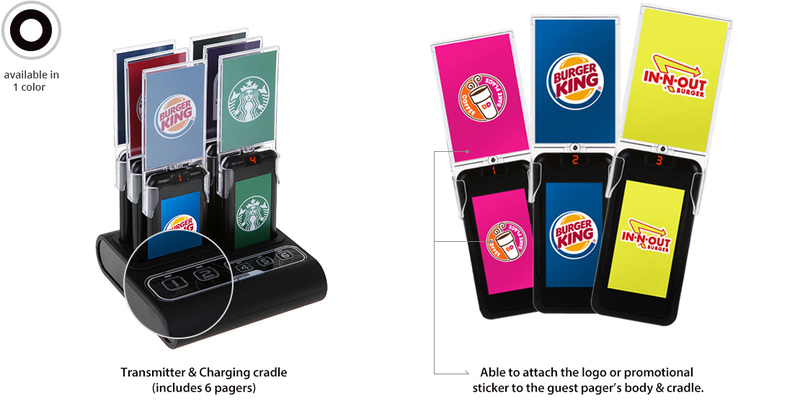 However, it should have at least 1 charging adapter for every 30 guest pagers. Is it possible to extend the working range? 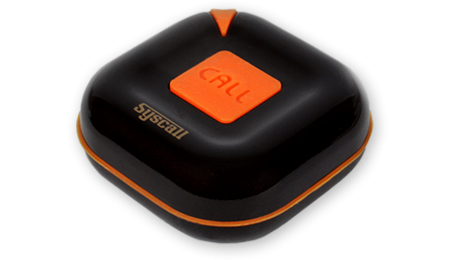 Yes, you can use a SYSCALL repeater to extend the working range. 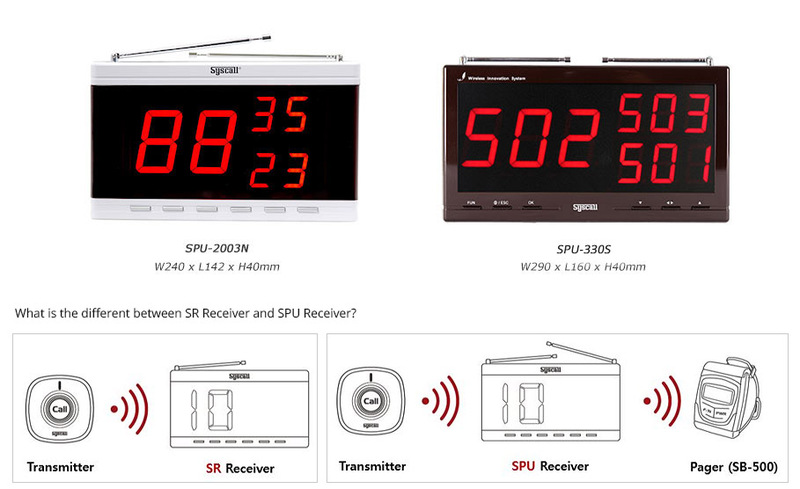 – On averages, repeater enables to extend working range 1.5~2 times wider. 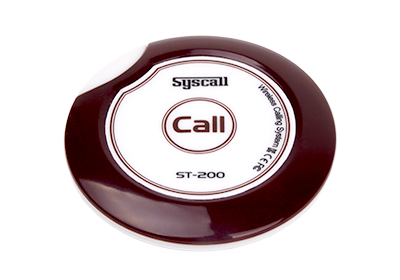 – Remember to avoid installing a repeater near high voltage area such as TV, refrigerator, etc. 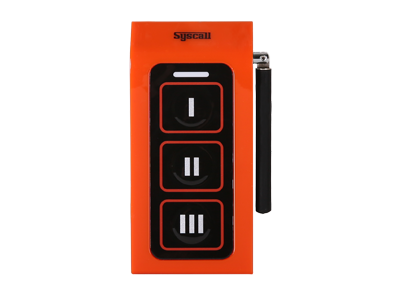 and, a high electric conductivity area (iron plates, etc.) 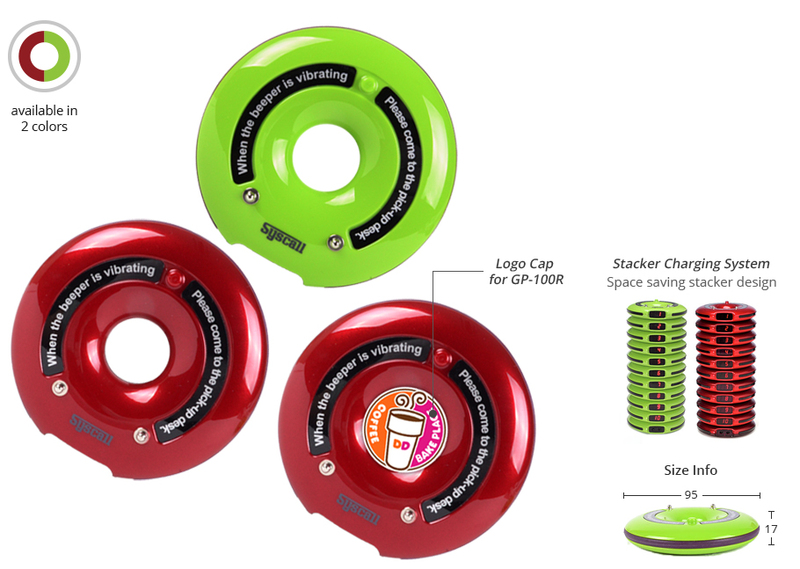 and wireless (Wi-Fi) routers.